MERZ occupies the former lemonade factory in Sanquhar, Dumfries and Galloway, Scotland. The site includes the self-contained Bothy residency, the adjoining 60m sq workshop/gallery, a tool shed and store set around a brick paved yard beside a small wooded area. MERZ offers a quiet setting close to the centre of a small rural town in Upper Nithsdale. MERZ provides residencies for artists, authors, makers and architects. 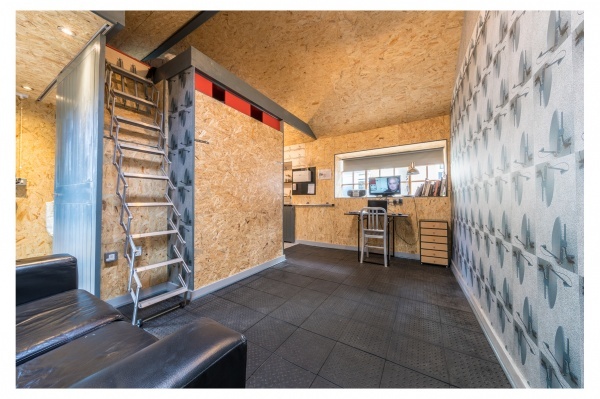 The Bothy is a flexible living space for two (with a mezzanine for a further two). The workshop/gallery enables artists to make new work and run workshops and seminars. The adjacent A’ the Airts community arts centre offers a fifty seat theatre/cinema with café and can be booked for larger public gatherings. Sanquhar is on the rail line between Glasgow and Dumfries. The area has a thriving network of artists, makers and authors. Local schools and community organisations have been engaged in projects at MERZ. MERZ can involve Summerhall TV, who film arts-news clips and documentaries for www.artinscotland.tv, social media and local TV channels in Scotland and abroad. MERZ is a not for profit centre. Grants are not available and the monthly fee for the workshop/gallery and accommodation (and filming where required) compare favourably with local commercial rates. 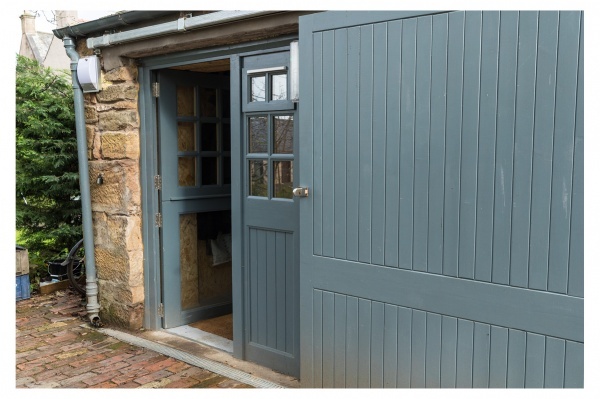 MERZ workshop and accommodation is also wheelchair accessible.